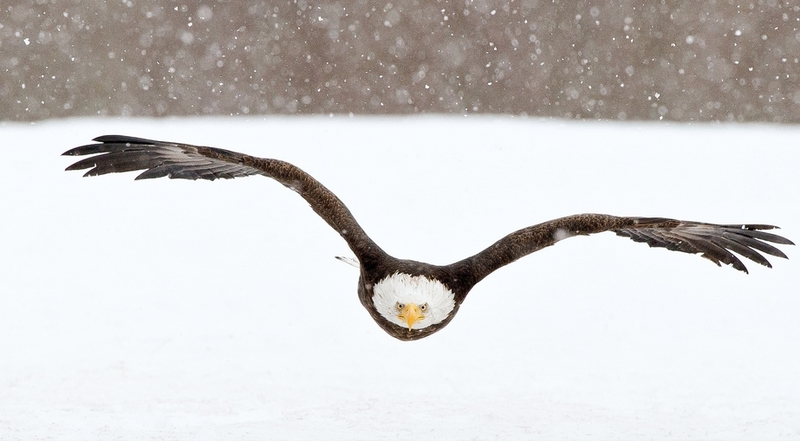 White Wolf : The Great Spirit Eagle: Award-Winning Images by a Canadian Wildlife Photographer. 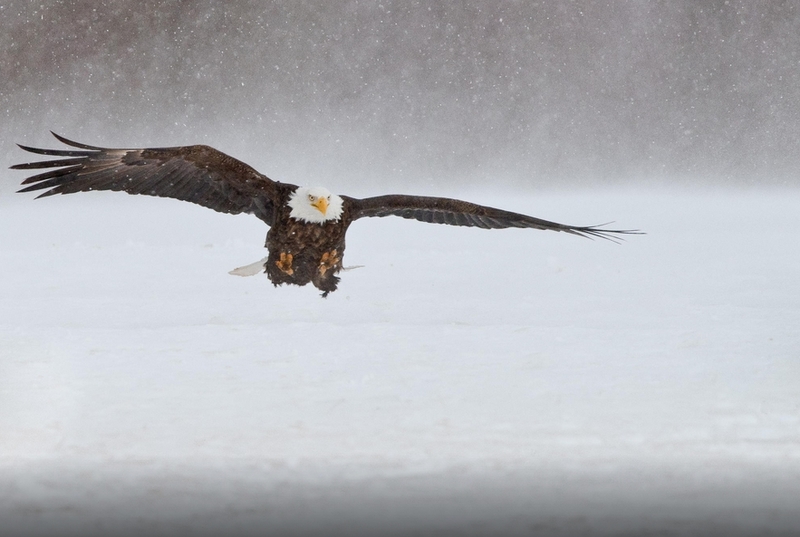 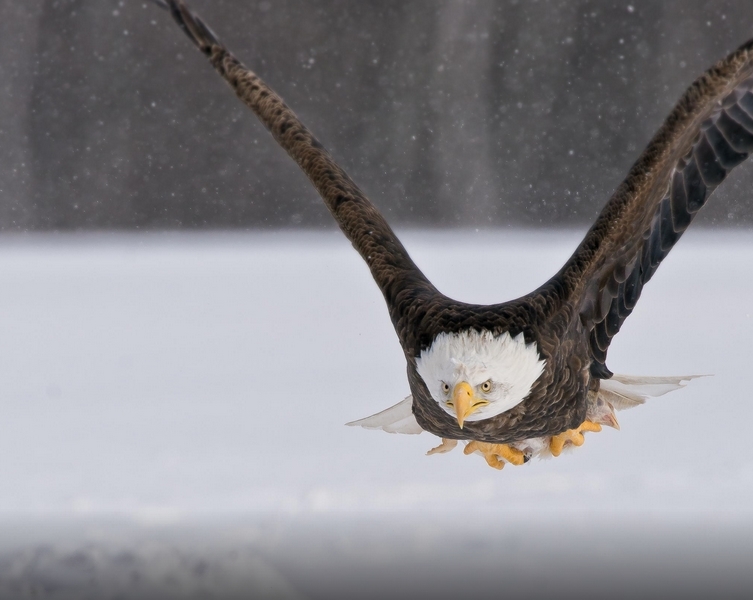 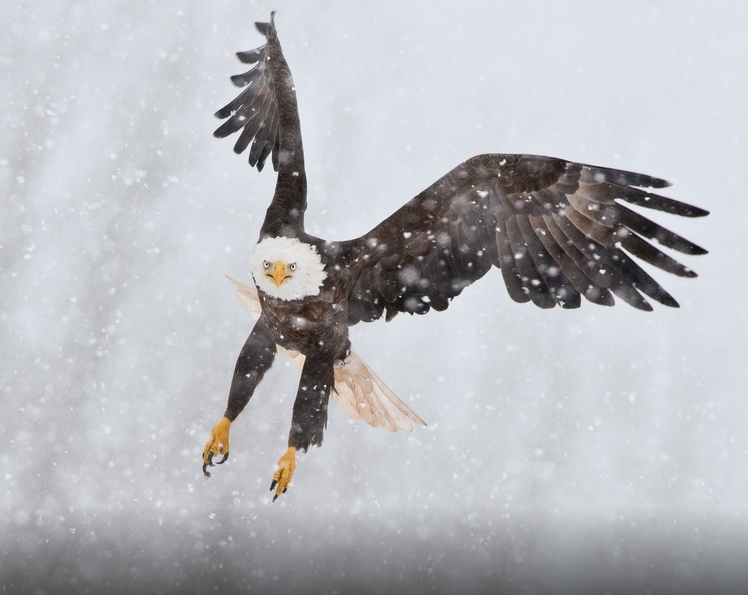 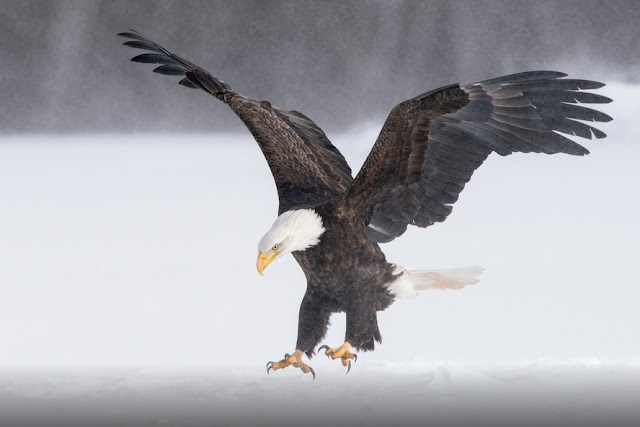 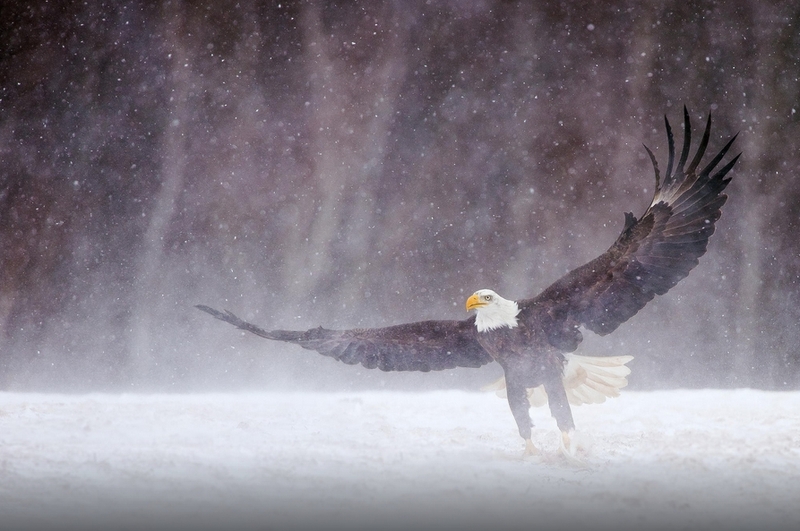 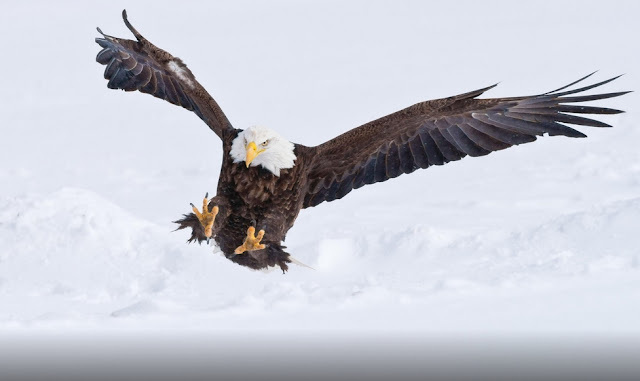 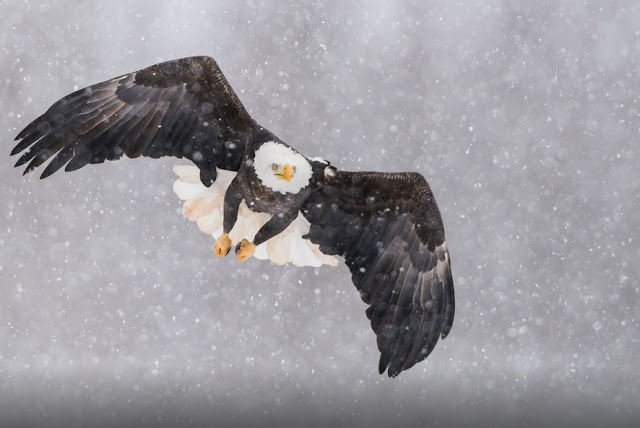 The Great Spirit Eagle: Award-Winning Images by a Canadian Wildlife Photographer. 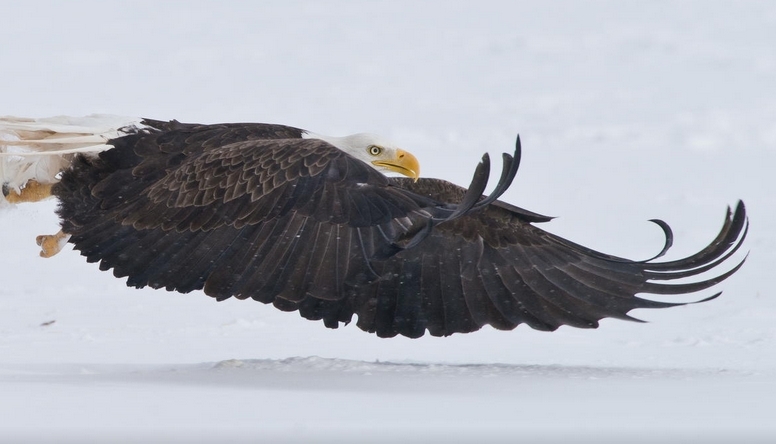 The bald eagle isn't bald. 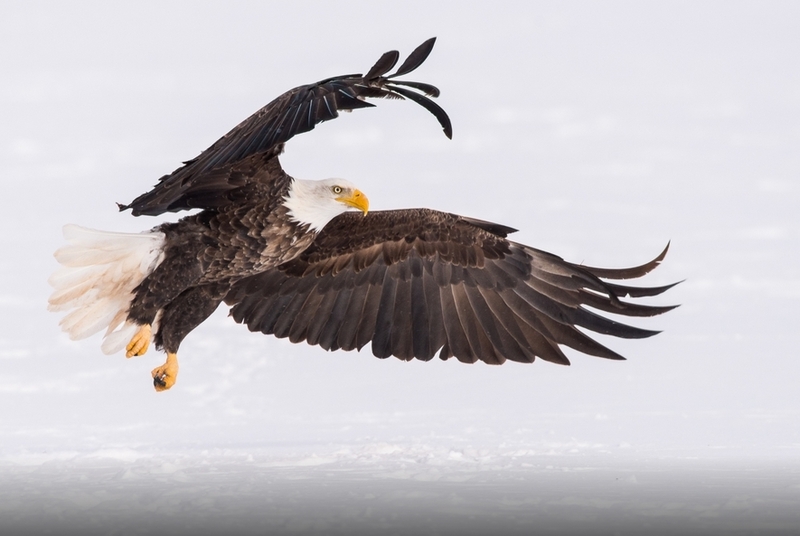 The word “bald” actually comes from the word “piebald” which is used to describe something that is spotty or patchy. Adult eagles are dark brown and have white feathers covering their heads and tails. 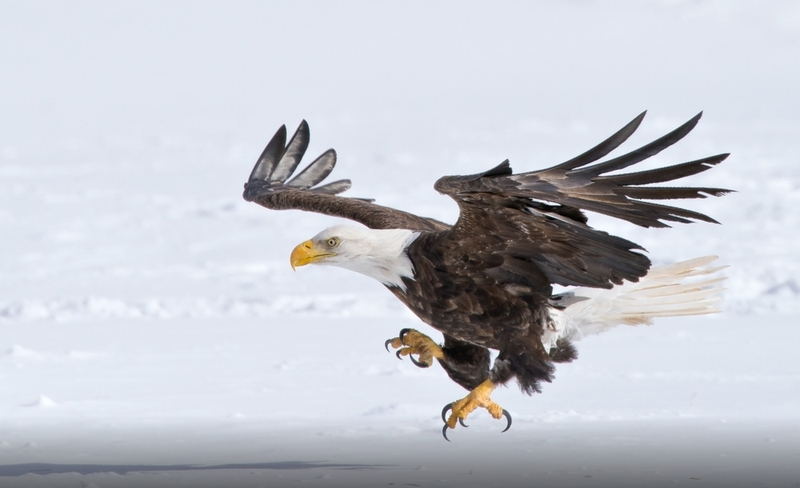 They also have hooked yellow beaks, large talons, and oversized feet equipped with small spikes, called spicules. 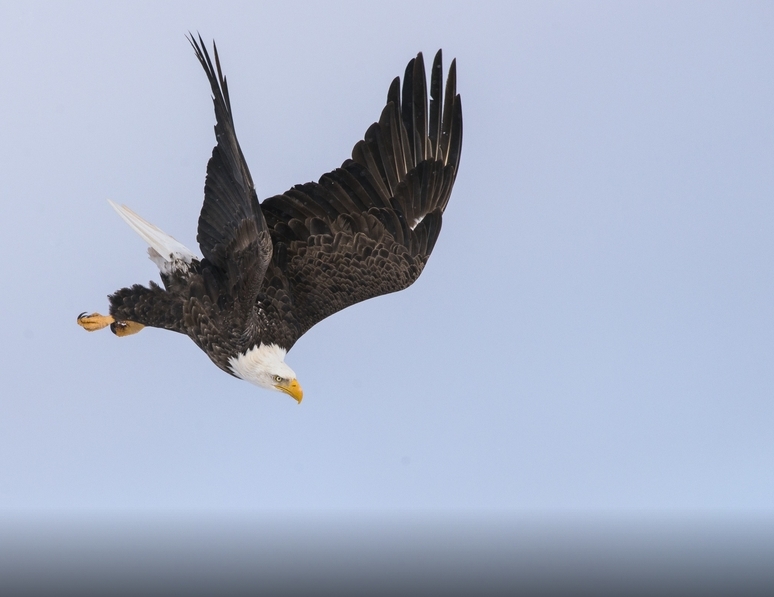 Together, eagles use these body parts as their own type of fishing pole. 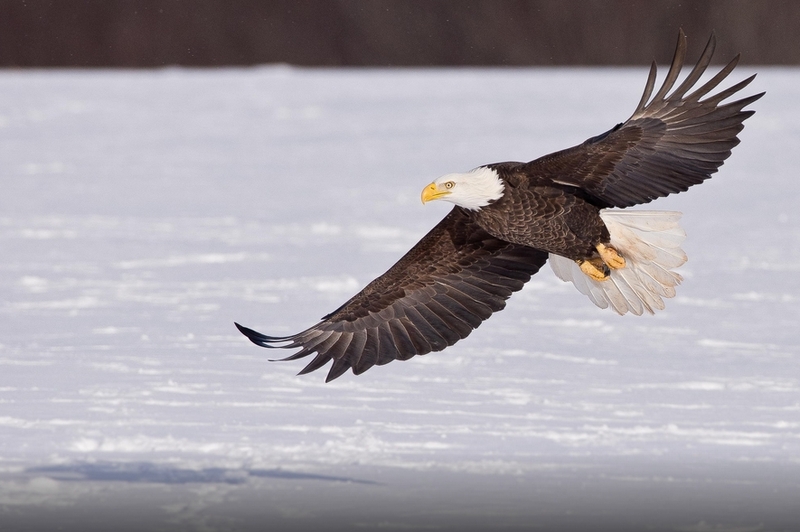 Eagles also have a super sense of vision, allowing them to see four to seven times farther than humans. 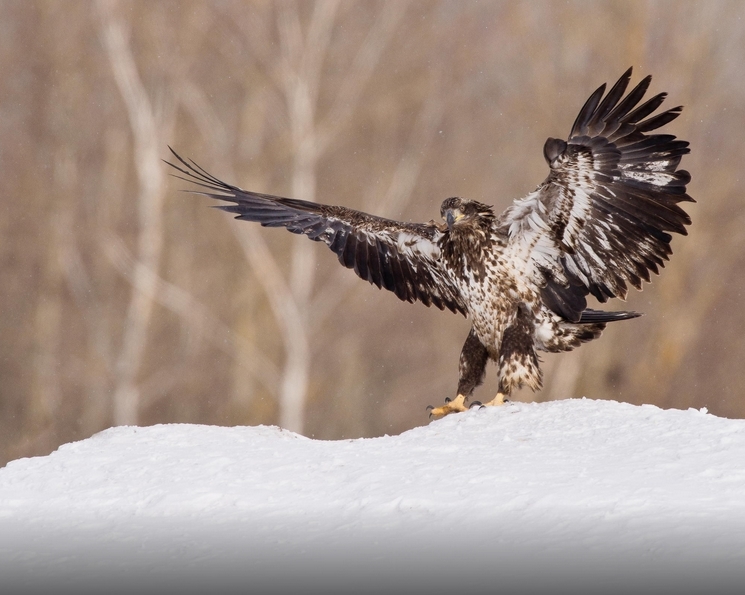 Young eagles are called eaglets and are light grey and fluffy when they first hatch. 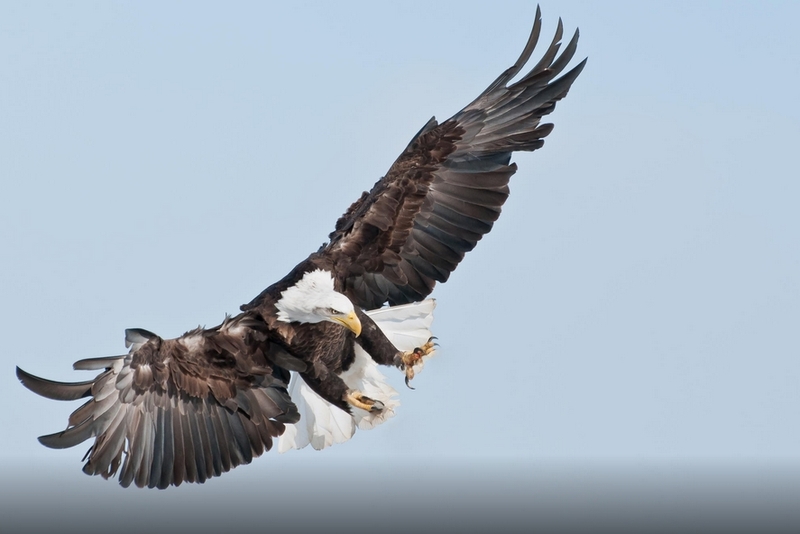 Their feathers turn dark brown when they're about 12 weeks old and ready to leave the nest. 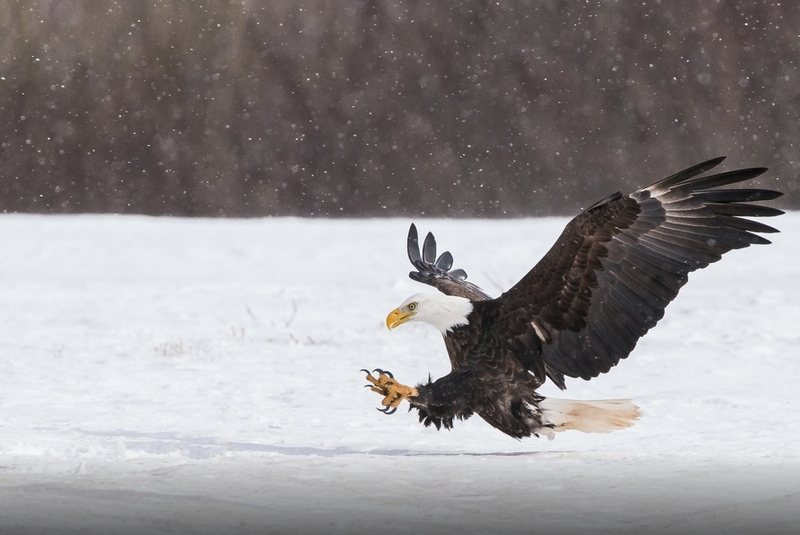 The feathers on their heads and tails won't turn white until they're about four years old. Life can be challenging for young eaglets, and nearly 50 per cent don't survive their first year. 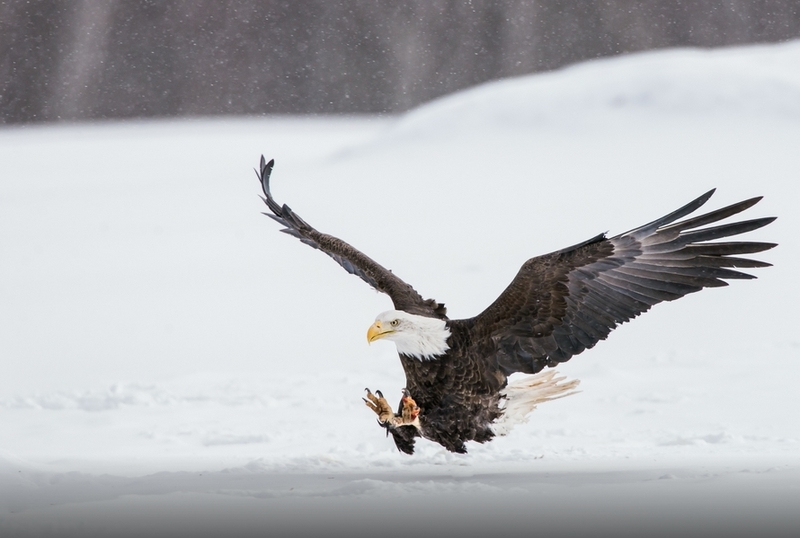 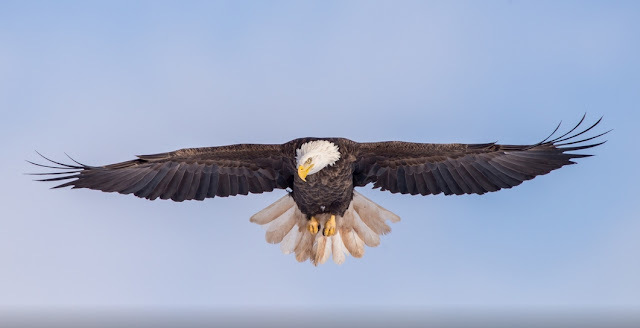 Responses to "The Great Spirit Eagle: Award-Winning Images by a Canadian Wildlife Photographer."